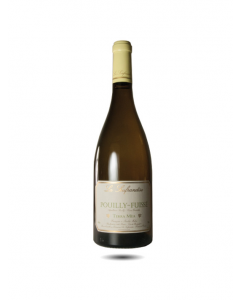 Pouilly Fuissé is a white wine appellation in southern Burgundy where the Chardonnay grape is grown (not to be confused with the similar sounding Pouilly Fumé appellation in the Loire Valley where the Sauvignon Blanc grape is grown). Located in the region of the Mâconnais, the vineyards are quite dramatic and are grown in the same bedrock of limestone found further north in the Côte-d’Or. The escarpments of Solutré and Vergisson owe their impressive profile to the presence of hard fossil corals that have resisted erosion. The vines are planted on the slopes on hillsides that are cut into by little steep-sided streams giving the slopes an easterly or southeasterly exposure. Altitudes: 200 to 300 metres. Elegant and charming with aromas ranging from mineral (silex), to citrus notes (lemon, grapefruit, and pineapple), white fruits (peaches), buttered brioche, and honey. The texture is round and generous, and the structure, thanks partly to the wine’s natural richness, is full of flavour. These are lovely wines to drink in the short to mid term. They match well with shellfish, lobster, foie gras, white meats such as veal, pork and chicken. Its aromatic power means that this wine can go well with Asian food, spicy dishes and those with soy sauce such as sushi. This is the domaine's flagship wine and is produced from its oldest vines (75 years old) grown on the best climats in Fuissé. 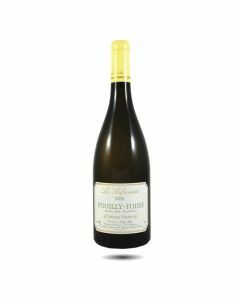 It undergoes very long fermentations, a proportion of which are in barrel, and has notes of honey, almond and orchard fruits, a very pretty persistence and beautifully fresh Chardonnay characteristics. We have quite a struggle to get hold of this wine, as it is much prized around the world for its beautiful Burgundian character and lovely persistent finish. A perfect match for fish, poultry and cheeses such as comté or chèvre.